The Book of Dust: The Lyra We’ve Been Waiting For? Over twenty years after the release of the first His Dark Materials novel, Philip Pullman is delivering a companion series. The Book of Dust will hopefully be the trilogy fans have been waiting for. 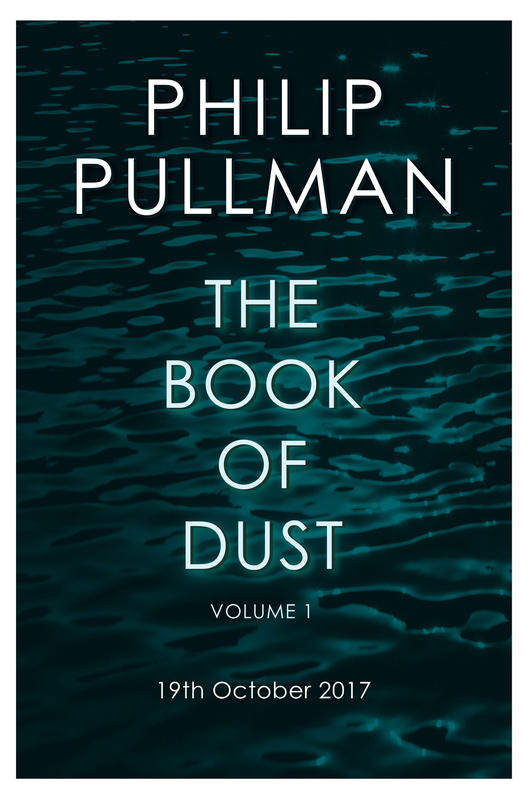 Pullman promises that with Dust we’ll catch up with Lyra Silvertongue, the protagonist from the first Materials book, now that she’s a young adult in her home world. But will it live up to the hype? Oh, My Pop Culture Religion: Who Needs an Afterlife, Anyway? This weekend marks lots of spooky celebration in the Western world. Pagans and Wiccans celebrate the Gaelic festival Samhain, marking the harvest and start of the darker half of the year. Hispanic cultures celebrate Día de los Muertos, a three day festival with roots in ancient Aztec religious beliefs. Christians celebrate All Saints Day and All Souls Day, honoring saints and remembering loved ones. Even secular Americans love to celebrate Halloween. 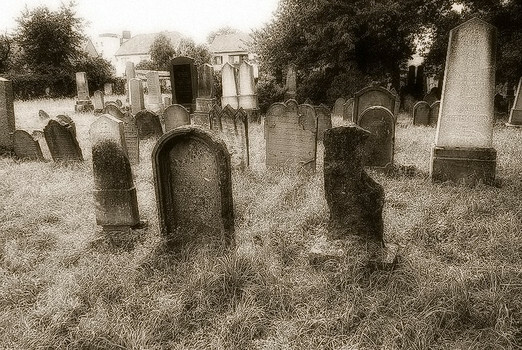 It’s the time of year when lots of people are remembering the dead and pondering mortality. This got me thinking about the way the afterlife appears in our geeky media. Saika and I have already written posts about Heaven and Hell, respectively. Both of us note that each realm is usually twisted in some way (either corrupted or comically), or kind of boring. So do we really need to give our characters an afterlife? Today’s guest column comes via longtime LGG&F reader Kathryn Hemmann. Kathryn teaches classes on Japanese literature and cinema by day and diligently trains to become a Pokémon Master by night. She posts reviews of Japanese fiction in translation along with occasional essays about pop culture on her blog, Contemporary Japanese Literature. Readers should be advised that this essay contains frank references to adolescent sexuality. Last week I lamented the surprising dearth of narrative focus on female characters in the latter two books of Philip Pullman’s His Dark Materials fantasy trilogy. This week I explain how Lyra’s lack of interiority in particular makes it difficult for the reader to reconcile the plot of the story with its broader philosophical themes. This installation contains major spoilers for the series from the first paragraph onward, so consider yourself warned. 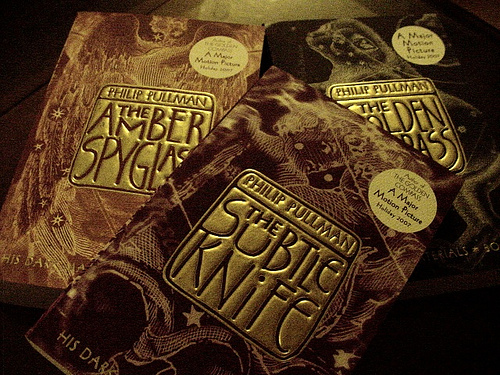 One of my personal goals in 2014 was to finish Philip Pullman’s His Dark Materials trilogy. My friends pestered me to read it, my students asked me what I thought about it, and the internet at large can’t stop recommending it. Still, I’ve been putting off actually sitting down with the books for years. Pullman’s linguistic flair is impressive, but I still had to force myself to make it through a certain number of self-assigned chapters every day. It was a pleasure to re-read The Golden Compass, but the sudden shift to a male protagonist in The Subtle Knife was accompanied by a number of unsavory implications that are exacerbated in the last book of the series, The Amber Spyglass. If you’ve never encountered the His Dark Materials trilogy before, this entire essay is full of spoilers, so please proceed with caution. After Harry Potter, I’d guess that Philip Pullman’s His Dark Materials is the second most controversial series of books, at least where the religious right is concerned. And with good reason: the two child protagonists ultimately set out to destroy God. The trilogy is commonly understood to be the anti-Narnia. C. S. Lewis’ Chronicles of Narnia are a very clear Christian allegory, with heavy-handed Christian symbols and parallels to sacraments. But where Lewis created an obvious allegory, Pullman gives us something more akin to a philosophical position paper in story form. How good of a job does his trilogy do in tackling the problem of God? Spoilers for His Dark Materials herein.